The fast paced growth of HNH Hospitality triggered a process of centralization and specialization of a range of activities previously coordinated by the General Managers of the individual Hotels. Our Group’s organizational structure now follows the centre-periphery model, placing at the centre the specialized tasks and at the periphery the activities related to the staff management and the guest care services. The centralized management involves Business Development; the Administration Department, the Revenue & Sales Department, the Maintenance Department, the HR Department and the Marketing Department. In the periphery, the General Managers of the hotels have the role of guarantors and are responsible of the quality of the services offered to the guests. 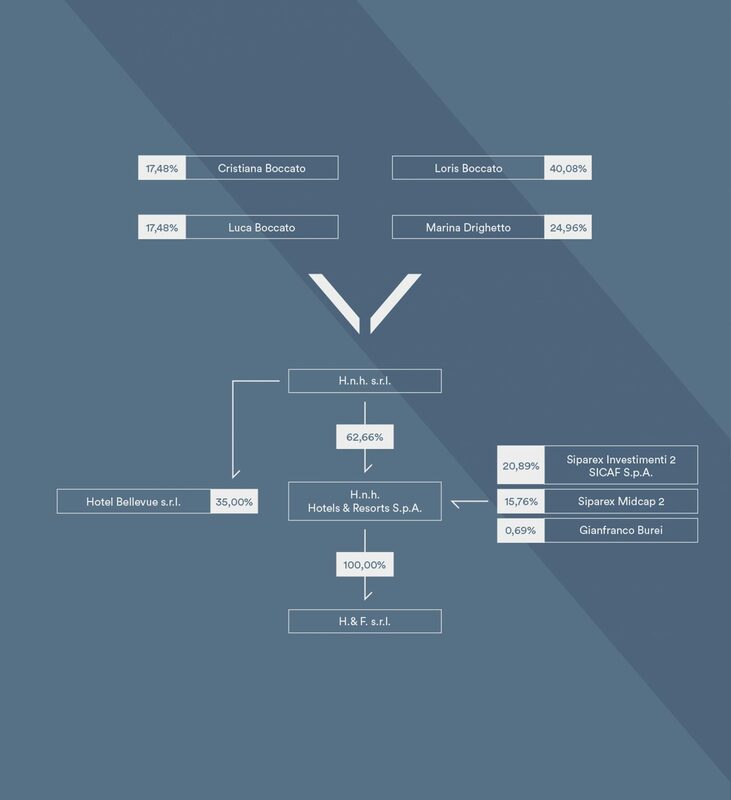 The organizational structure adopted enabled flexibility and agility, harmonizing the processes of the Group and the synergy between the central decision-making and the operation in the individual hotels. 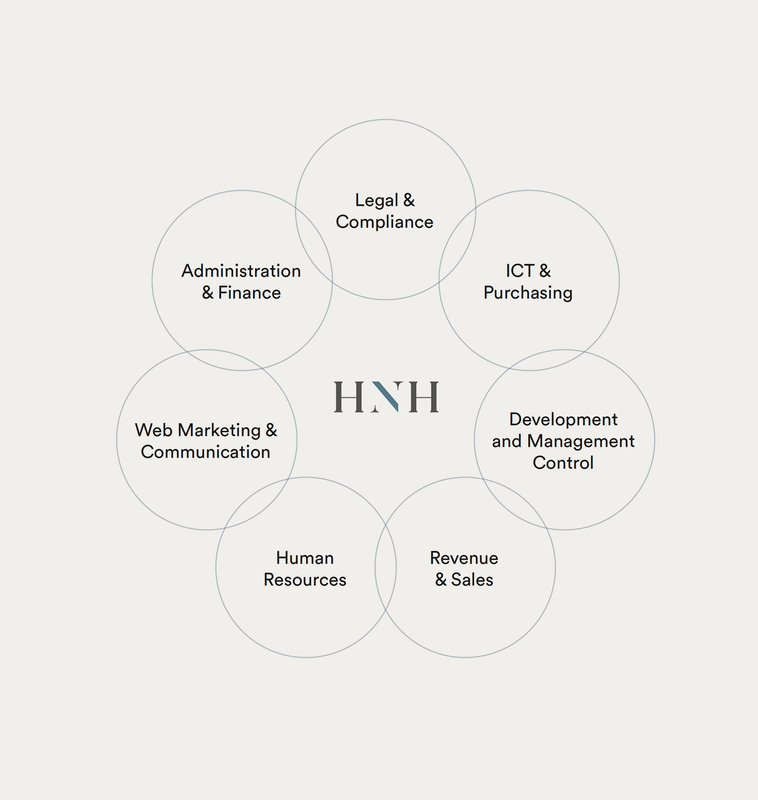 Through its business model, the HNH Hospitality Group has managed to systematize all the advantages given by the economies of scale. As we strive for economic efficiency, ours is a continuous process of quality improvement that manifests itself in the qualitative and economic performance of our Group. Our Group’s organizational model follows the centre-periphery model, placing at the centre the specialized tasks and at the periphery the activities related to the staff management and the guest care services. It’s a model that enables flexibility and agility, harmonizing the processes of the Group and the synergy between the central decision-making and the operation in the individual hotels. Our unique portfolio of all-Italian beauty consists of 4- and 5-star hotels and resorts that share the same research for excellence but distinguish themselves for geographic location and market context in Business Hotels and Resort Hotels. Through its consolidated multi-brand business model, HNH Hospitality has been working in synergy with established international hospitality companies, linking the hotels’ image to renowned international brands, hence guaranteeing high standards of quality. HNH Hospitality has become one of the leading independent hospitality operators in Italy thanks to the Group’s ability to optimize performances and maximize profit margins in the fast-paced hospitality industry. 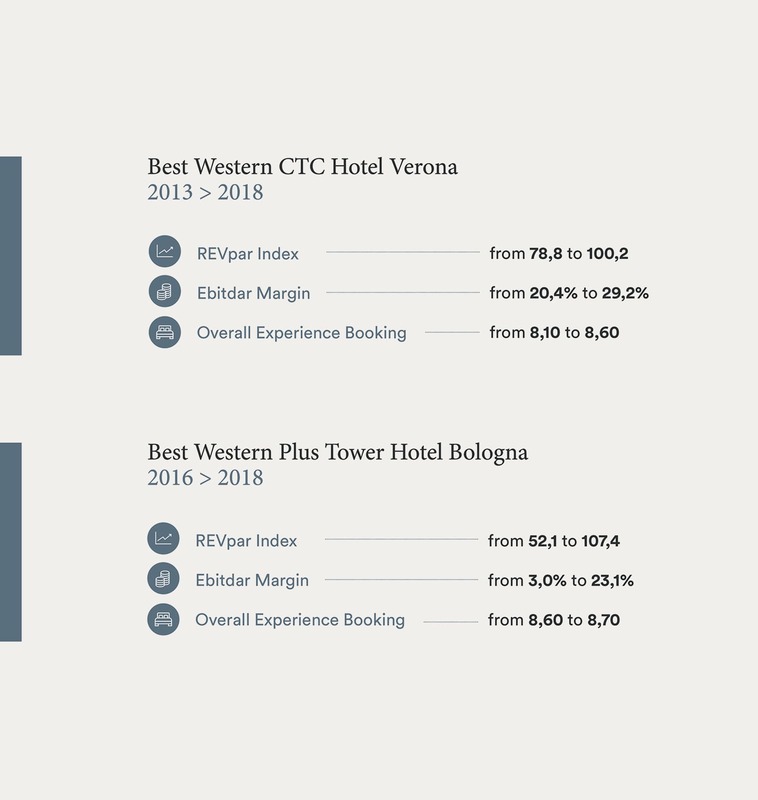 The Best Western CTC Hotel Verona and the Best Western Plus Hotel Tower Bologna are examples of the Group’s desire to continuously improve and harness innovation: in 24 months since HNH Hospitality was entrusted with their management they have registered improvements in all the main indicators.